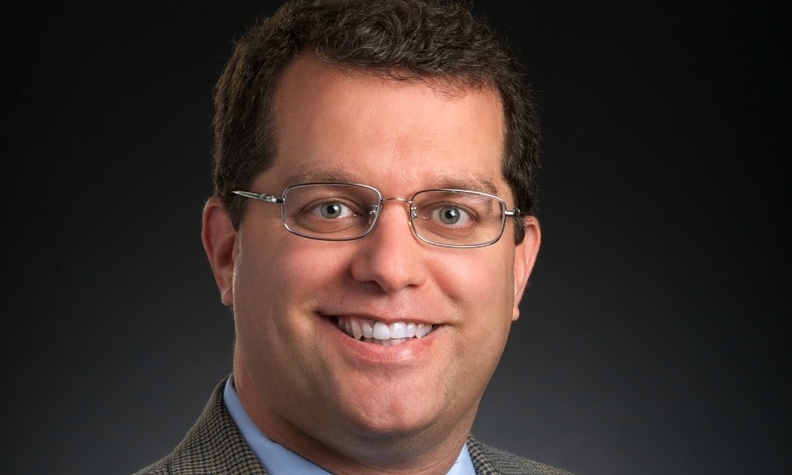 Honeywell's Hahn sees modest growth for turbocharged vehicles in Europe this year, but big increases in the U.S. and China. 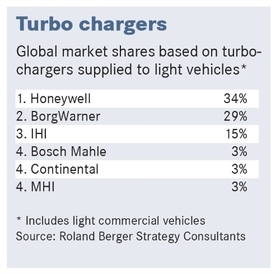 Honeywell Transportation Systems, the world’s leading turbocharger supplier with an estimated 34 percent share of the global market, foresees big gains for the performance-boosting, CO2-reducing technology, especially in the U.S. and China. Terrence Hahn, who is CEO of the Switzerland-based Honeywell business unit, shared his views on the hot sector with Automotive News Europe Managing Editor Douglas A. Bolduc. What is Honeywell’s 2015 vehicle production outlook for Europe, the U.S. and China? In Europe, the overall market growth has been muted, but there have been some positive signs from some of the countries that have led to modest growth. We expect that to continue in 2015. In the U.S. and China there will be significant growth. What about the forecast for total sales of vehicles with turbochargers? This year there will be modest growth in Europe and big increases in the U.S. and China. Our forecast is for double-digit growth in the U.S. and China. By 2019, we foresee 49 million turbocharged new vehicles sold globally each year, representing 43 percent of the market [up from 31 percent in 2013]. In North America, sales of turbocharged vehicles are expected to reach 38 percent of the market in 2019, up from 21 percent in 2014. In China the market is forecast to grow to 41 percent in 2019 from 23 percent last year. And we don’t see it stopping after that because emissions rules will keep getting tougher. In 2019, 69 percent of the vehicles will be turbocharged, up from 67 percent last year. MAIN CHALLENGE: Getting customers to view the company as an integrated technology provider. These are all overall figures. How is Honeywell going to maintain its lead? We believe we bring so much to the marketplace via three key areas: our technology, our global footprint and the Honeywell Operating System. From a technology standpoint, Honeywell invented turbochargers. We’ve been an innovator in this industry since its inception and we have access to a much broader r&d pipeline than anyone in the auto industry. Footprint is another key. We have capability in the seven main areas where our customers’ powertrain infrastructure is: Europe, North America, China, Korea, Japan, India and South America. And, third, all our plants operate under the Honeywell Operating System. This ensures that wherever our customers want to place their volumes they get the same capability. How does that help your business? The proof points are our above-industry customer-win rate, our above-industry growth rate and how we are expanding the business. We can only do that if we bring value to the customer. Can anyone match your footprint? We haven’t seen anyone with the capability in each geography that is better. The key is being local. We have 13 manufacturing sites and seven facilities that handle things such as engineering, r&d applications and prototypes. Are you already meeting with automakers on European CO2 targets that will come after 95g/km in 2020? Yes, we are working with automakers on developing technology and demonstrators that help them meet those longer-term goals. We clearly haven’t reached the end of the technology roadmap. Will breakthroughs come more from electrical and software solutions? The combination of mechanical, electrical and thermal energy management will need to be enhanced and integrated. Our aerospace business handles mechanical, electric and overall systems integration. We are also a leader in auxiliary power units for commercial aircraft. Which customers are asking for this? I am not saying that any of our customers are heading in these directions yet, but they appreciate it’s not just a turbo provider coming into these conversations, it is an integrated technology provider.